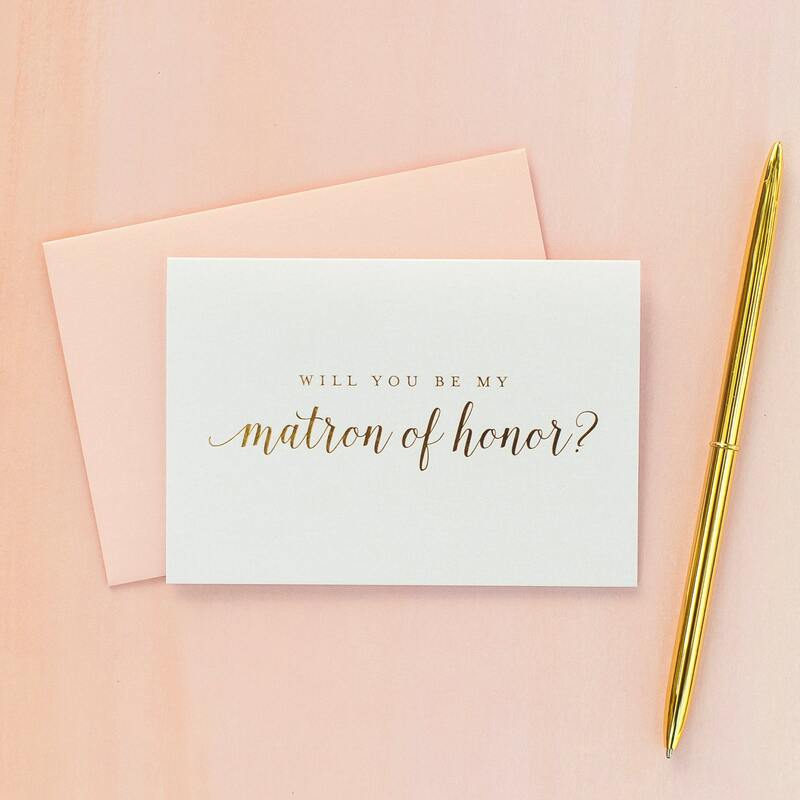 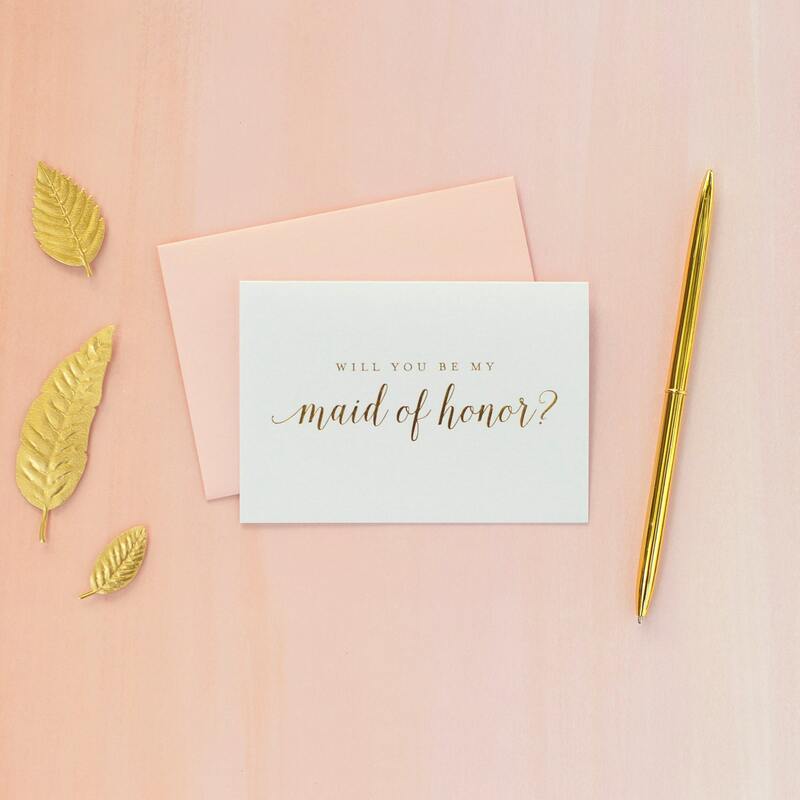 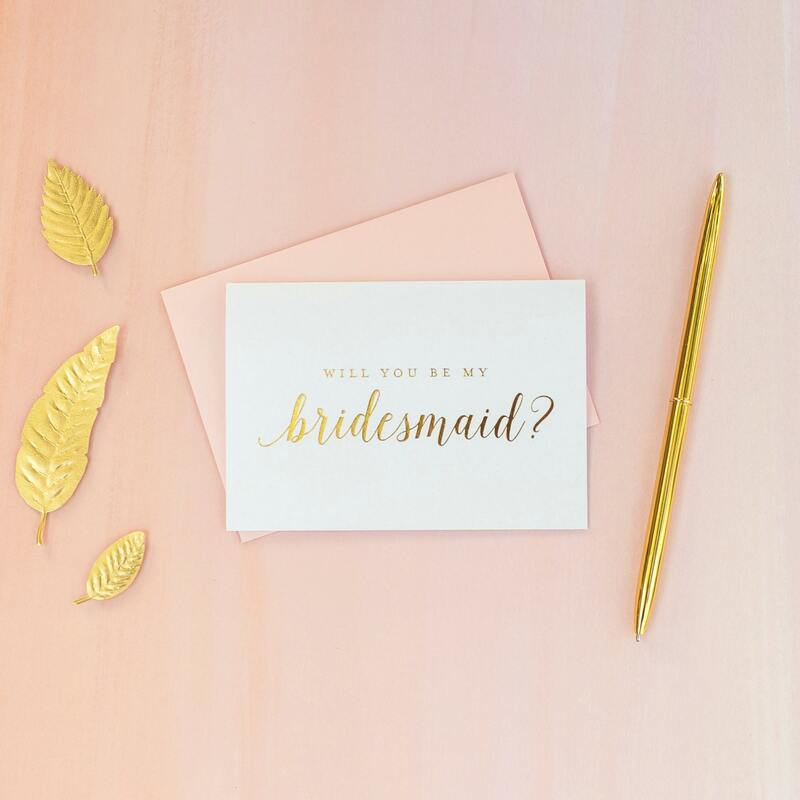 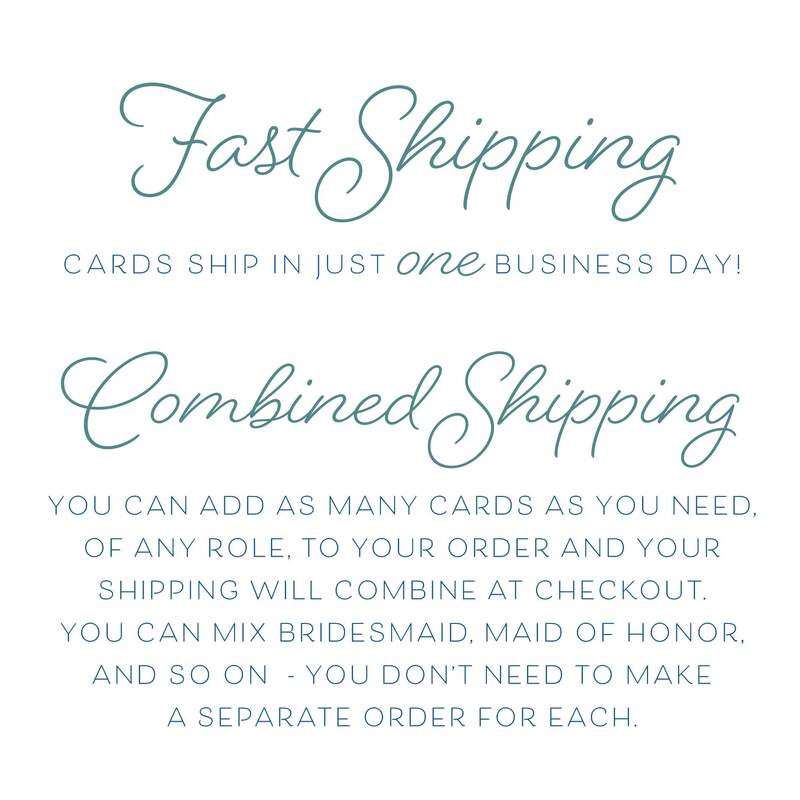 This gold foil Will You Be My Maid of Honor card is a great maid of honor proposal card or maid of honor invitation to use as a part of your gift box or larger gift, or just on its own! 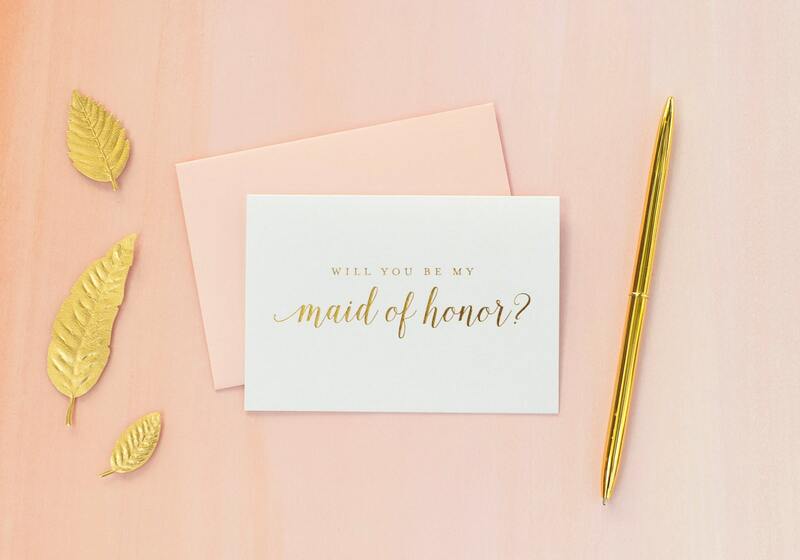 Ask your attendants to join you on your special day with beautiful authentic gold foil. 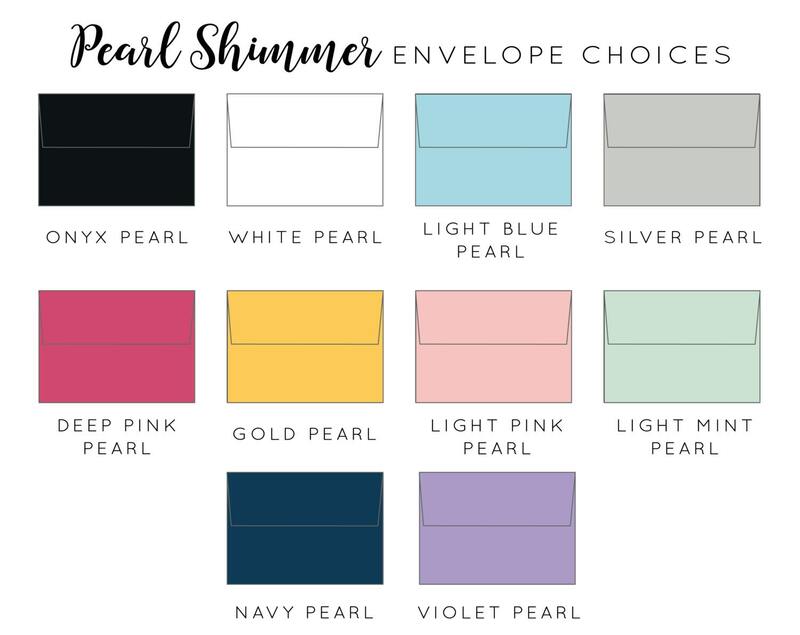 These bridesmaid cards are foil stamped on beautiful shimmering white pearl cardstock, on a folded 4.75x3.25" card with blank interior.